No matter where your group wants to travel in the Topeka, Kansas area or beyond, we will help you choose the ideal charter. Take a trip to or from the capital of Kansas with a charter bus from Windstar Lines. Topeka is rich in history and full of places to take a step back in time: Brown vs. Board of Education National Historic Site, Kansas Museum of History, and The Great Overland Station, to name a few. There are also a variety of recreation areas and parks, including Heartland Park, “The Heart of American Motorsports.” With so many options for day trips and vacations, all you need is a reliable form of transportation, and Windstar has you covered. 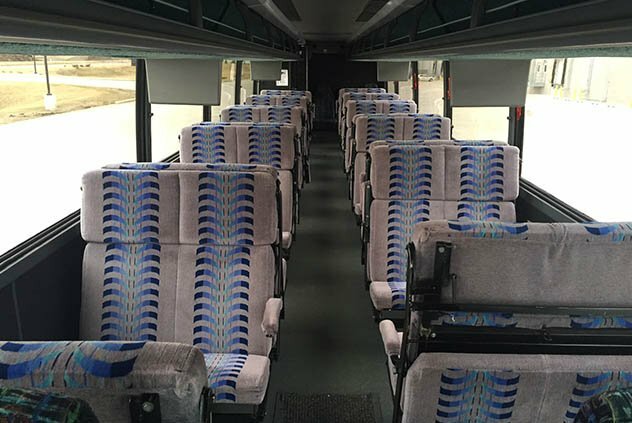 When arranging group travel, you want to work with a company that has ample experience with motorcoach and bus rentals. Windstar Lines is the best in the business. Our customer service and affordable pricing will ensure that your trip to any of Topeka’s attractions will be memorable. Windstar Lines offers a motorcoach or bus rental for anyone. We can accommodate groups of 20 or groups over 100. If you need group transportation in the Topeka area, contact Windstar Lines today for your free quote! You will never have to worry about safety when you travel with Windstar. Our motorcoach and bus rentals are all up to date and have passed safety inspections for your security. In addition, we background check all of our drivers and train them on operating our vehicles. We put your safety at the forefront of our minds in all aspects of our business.